With interest rates at a historical lows, consumers are racing to refinance their homes. In many cases consumers reach for the traditional 30-year mortgage. This loan locks in the incredibly low rates we see today for thirty years and in most cases gives the consumer a much lower payment than they had before. This sounds great because with rate where they are there is not much lower they can go and certainly over the next 30 years we should expect rates to rise perhaps even dramatically if inflation were to rear its head. It certainly sounds like the 30 year fix mortgage is a great alternative to any adjustable rate loan offer that will most likely result in higher payments and interest to consumers in the future. What many consumers donâ€™t realize is just how much they pay in interest over the term of their loan. Letâ€™s take a $100,000 loan at 4.25% interest rate (Interest rates will vary based on credit and other factors). Over the 30 year term you pay $77,098 in interest on top of the $100,000 you borrowed. That is a 77% premium to your original loan amount. If we take a bigger loan say $625,000 you end up paying a whopping $481,250 in interest which is the same 77% premium to your original loan amount. Now if you donâ€™t like the idea of paying your bank all that interest hereâ€™s a simple solution. Consider a 15 year fixed mortgage. There are two big advantages to a 15 year fixed mortgage. First, the term is half as long so you will pay less interest because of this time element. Second, many lenders offer lower rates on 15 year fixed mortgages so you will pay less interest because of the lower rate.Â Letâ€™s go back to our examples. The $100,000 loan for 15 years now has an interest rate of 3.4% (Again interest rates will vary based on credit and other factors but for many lenders you will see a nice difference). In this case over the 15 year term you pay $27,797 in interest, a $49,302 savings in interest. If we take the bigger $625,000 loan the interest you pay is now $173,730, a $307,520 saving in interest. The 15-Year fixed mortgage is a great way to reduce the interest you pay to banks but is still is not for everyone. 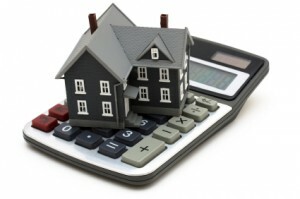 There is a price you pay to reduce the interest you pay and to have your home free and clear in half the time. One of the down sides to a 15 year mortgage is that your payments will be larger on a monthly basis then the 30 year mortgage because you are paying the loan down in 15 years vs 30 years. So in our $100,000 example you pay $492 per month with the 30 year mortgage and $218 more a month or $710 with the 15 year mortgage. In our $625,000 example you pay $3,074 per month with the 30 year mortgage and $1,363 more a month or $4,437 with the 15 year mortgage.